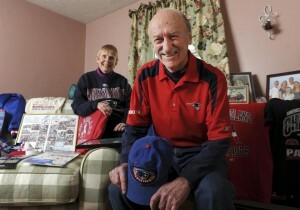 Charles Underhill is a devoted Patriots fan and always has been, he is no “band wagon fan”. He was at the game where the fans fled the stadium when it burst into flames, when they tore down the goal post and took it out of the stadium, sat through the Snow Bowl, and of course was at the infamous Snow Plow game. He has been through 16 losing seasons with the Patriots and he has had season tickets since 1966, the Patriots 7th season as a franchise. In those 47 seasons, Underhill has been to every home game, and every home playoff game. Underhill is 73 years old, and come this Sunday, he will be there wearing Patriots gear, cheering on his favorite team at Gillette Stadium. Underhill on going to all these games said: “To me, it’s like a birthday every time I go to the game”. 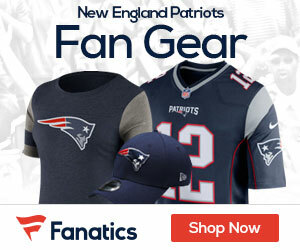 From all of us at Patriots Gab we hope you enjoys the game, and hopefully it will be a win for the lifetime fan.